I love teaching and consider myself an ardent supporter of education and experimentation. I have been in teaching, tutoring, and teaching assistant (TA) positions since my junior year of high school in 2010. 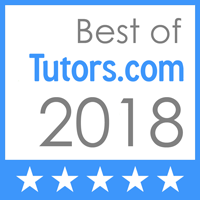 I have assisted students with countless subjects, ranging from high school biology to the SAT to college organic chemistry. CLICK HERE to read real testimonials regarding my teaching and writing abilities.